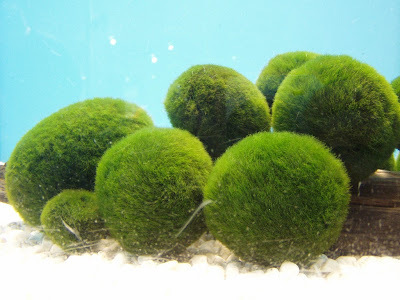 Moss Balls, also known as Lake Balls or Marimo in Japan, are balls of... algae. 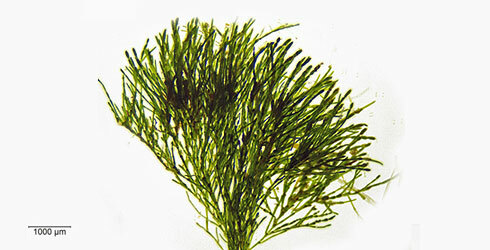 Specifically, a branching, filamentous algae called Aegagropila linnaei. A. linnaei can be found in various rivers and lakes across the northern hemisphere, as well as Australia. Thing is, it isn't usually a ball! It's much more typical for them to grow like a carpet or as little tufts, either floating just above the sediment or attached to rocks. It all depends on the local conditions. Everything has to be just right to achieve Moss Ball; light levels, sediment, undercurrents... you have to think of everything. It's like preparing for a proposal of marriage or request of promotion. These demands have only been met in specific lakes in a few countries around the world, like Japan, Scotland and Iceland. These most fortunate of nations may have whole colonies of the things. The currents roll them around so that all sides receive sufficient light and any accumulated silt is brushed off. They have to maintain that velvety soft surface, right? Moss Balls also float on occasion, which ensures they all get a chance of catching some sun. 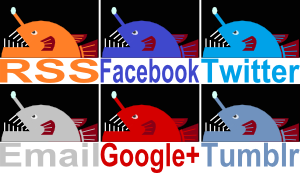 With all this bobbing and rolling it sounds like they're having a tremendously fun time! A ball, in fact. 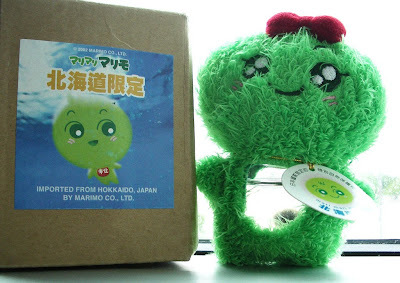 Marimo are REALLY popular in Japan. 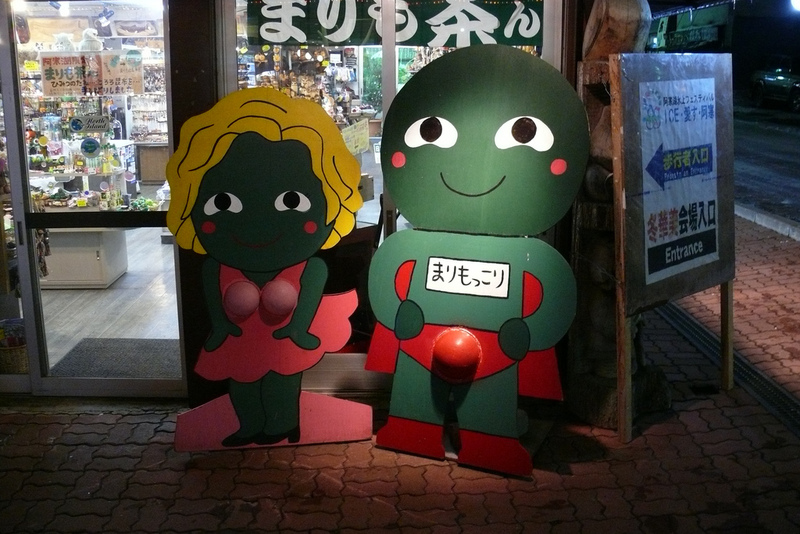 They even have a Marimo festival! 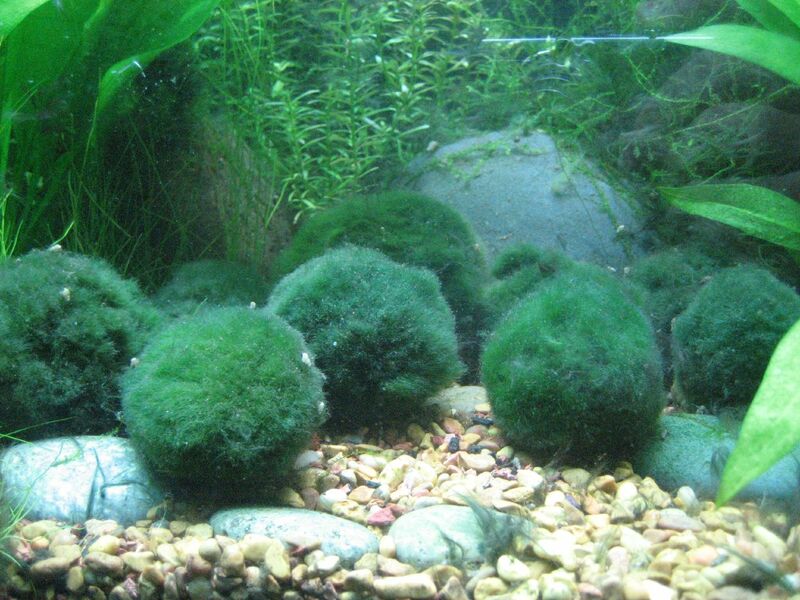 Each colony is slightly different from the next, and the most impressive Moss Balls are those of Lake Akan in Japan. 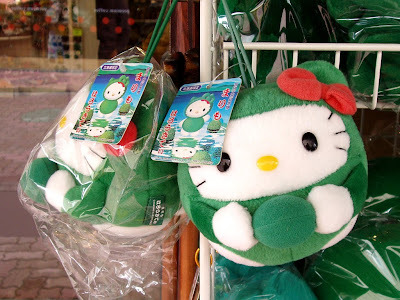 They can reach 30 cm (a foot) across! Others across the world are less than half that. Who knew Godzilla was actually a sphere? And it's so interesting that Moss Balls are so ball-shaped! Planets and stars are all spheres and there are loads of microscopic ones all over the place, but we in-betweeners need every scrap we can find. And it's green and fuzzy, too! I doubt you could say that of any other bundle of algae in all the world! Hahaha! 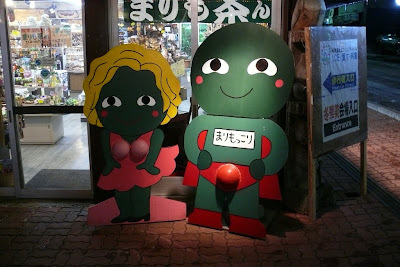 I'd never heard of chia pets, they look utterly mad! And yes! Those caterpillars are really amazing, it's incredible that they can look so FURRY! Hahaha! I bet someone out there has armpit hair that looks like moss balls so I'm sure it balances out.